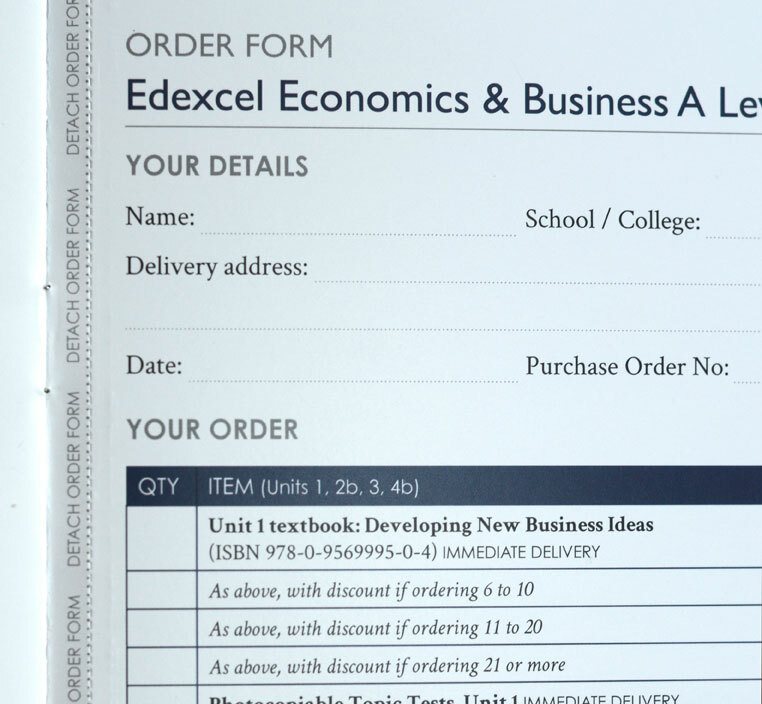 I was very pleased to be able to work on this project for an existing client who I had previously typeset an economics textbook for. 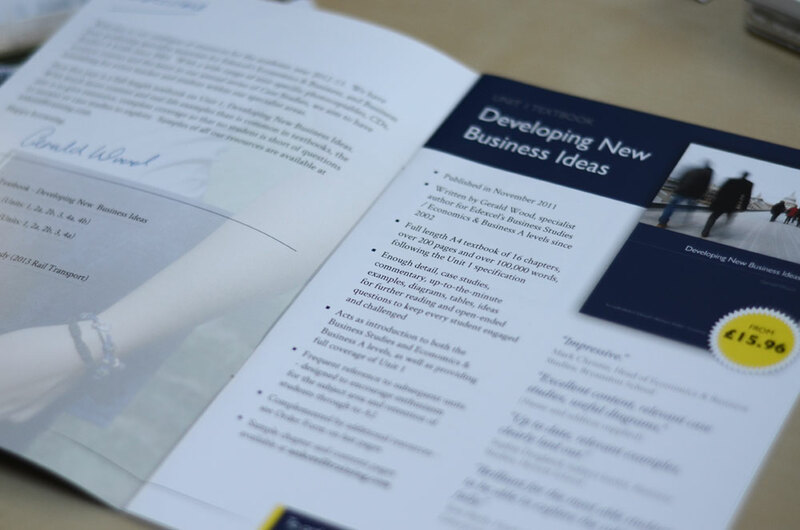 While education catalogue design is a relatively straight-forward job, in this case it was one that had to be handled carefully as it represented a key component of the client’s publicity and sales strategy. Building upon the recently developed company brand, in order to attract new customers. The finished product was a high quality A5 twelve-page printed booklet. In the crowded market of eduction material Anketell Training stands out as the company to turn to for comprehensive and reliable economics and business study resources. ThisÂ catalogueÂ was designed to stand out as thoroughly trustworthy and so not easily dismissed by potential customers. With a clear existing brand already in place this catalogue builds upon it by carefully introducing visual elements withoutÂ compromisingÂ theÂ readabilityÂ of the text. I worked alongside the client through conceptual ideas, layout, initial drafts,Â alterations andÂ proof-reading. 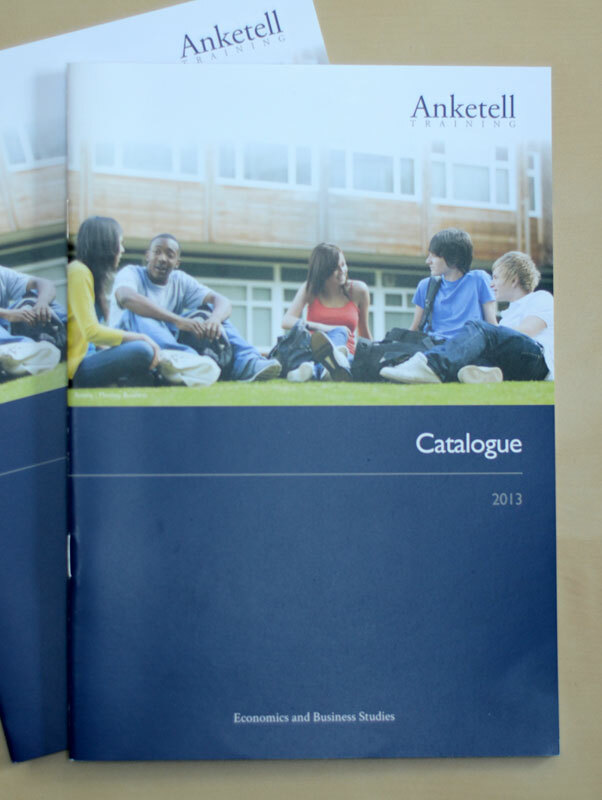 I then went on to manage the printing, production and delivery of the education catalogue.